Comic book superheroes are enjoying a resurgence in popularity. Big budget action flicks featuring superhero stars are all the rage and even television shows about comic book heroes are popular. More and more young people are looking to these types of characters as role models. 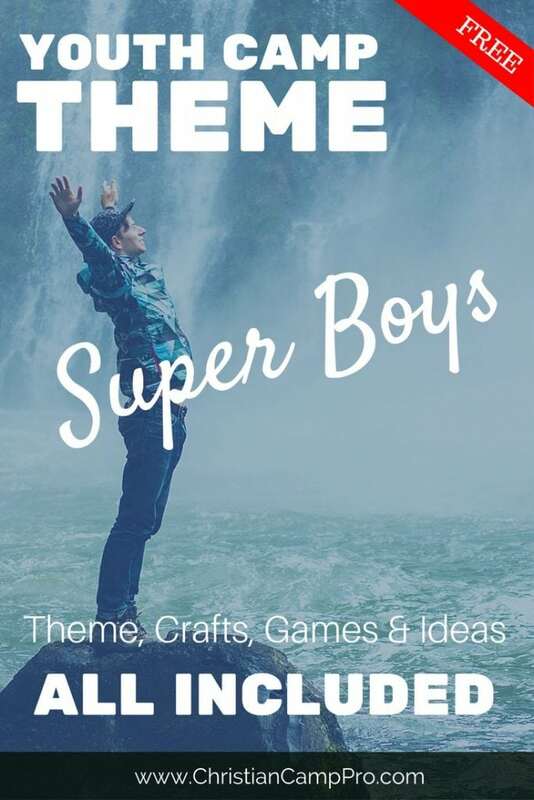 A superhero retreat aimed at young boys or even adolescent boys can be a positive way to help these groups find boldness and strength in the teaching of the Bible. 10 Do not fear, for I am with you; do not be afraid, for I am your God. I will strengthen you; I will help you; I will hold on to you with My righteous right hand. Superheroes in movies are never afraid to rush into a tricky situation and do what’s right. They have superpowers to protect them and give them the strength they need to overcome the most dangerous challenge. This verse can be used to encourage young boys with God’s promise to be their superpower strength and protection in difficult situations. They don’t have to be afraid because they have an All-Powerful God on their side! 1 The Lord is my light and my salvation—whom should I fear? The Lord is the stronghold of my life—of whom should I be afraid? 2 When evildoers came against me to devour my flesh, my foes and my enemies stumbled and fell. 3 Though an army deploys against me, my heart is not afraid; though a war breaks out against me, still I am confident. Comic book and movie heroes all have to deal with one or more super villains. These characters consistently threaten the hero directly or devise evil plans to destroy the people and places the superhero has pledged to protect. While young boys may not have to deal with supervillains, many have to interact daily with bullies, abusers, or other “evildoers.” This scripture can be used to help young boys or teens understand that God can give them courage against their enemies and strength against their foes. They can be confident knowing that God is on their side. 3 On the day I called, You answered me; You increased strength within me. Many comic book superheroes have a call that is used to signal when someone needs help. Whenever Batman sees the Bat-signal in the sky, he immediately jumps into action. This scripture demonstrates that God also has a signal, prayer. Young people can be assured that when they call out to God, He hears and answers. He may not answer in the way we expect or want, but He always answers in the way that is best for us. When we call on Him for strength and courage, He will provide it! This craft is a great way to begin your Superhero Retreat and also open up a conversation. Give your attendees the materials needed to design their custom cape and encourage them to create a cape that is as original and unique as they are. The attendees can wear their capes for the duration of the retreat. For this craft, you need only simple materials: popsicle sticks or craft-foam if you prefer softer bookmarks, markers and glue. Like the capes, allow the attendees to make a superhero that is new and unique. They can even write some of the scriptures on the markers to serve as reminders. Depending on the space available for your retreat, this fun activity can be used indoors or out. Set up a variety of age-based challenges for either individuals or teams. Prizes can be awarded for the individual or team who finishes the course the fastest or you can give training badges for everyone who completes the obstacle course. This activity would serve as a perfect complement to the “Whom Shall I Fear?” Section of your retreat. Divide attendees up into equal teams and give each team a roll of brightly colored streamer paper. Position adult “villains” at the end of play space. When the signal is given, the attendees must run to their “villain” and work together to wrap him up in the streamer paper. The first team to finish wins. What better way to remember your retreat than with a cool photo. This activity can be easily done by laying out your backdrop and cityscape and having attendees lay on the backdrop in a flying pose (wearing the capes they made!). Snap a pic from above and print them out as a souvenir of your awesome retreat! This activity could be a fun way to kick off your retreat. Customize the lists to suit your attendees and print it out on a large poster board that they can all gather around. In just a few minutes they will be talking and laughing and discussing their new superhero names! Gather your attendees at the end of the retreat to review what they’ve learned. Give them their mission of going out in the world (school, after-school activities, neighborhood, etc.) and being a good example to peers and friends. They may not be like the superheroes in the movies, but with God’s guidance and strength, they can be fearless and unstoppable! A superhero-themed retreat for boys can be a great way to encourage young boys and teens. They can understand that they are never alone. They can learn to look to God for courage and strength to be able to do great things. God promises to answer whenever they call on Him. Special thanks to WOL CAMPS for making this article possible.